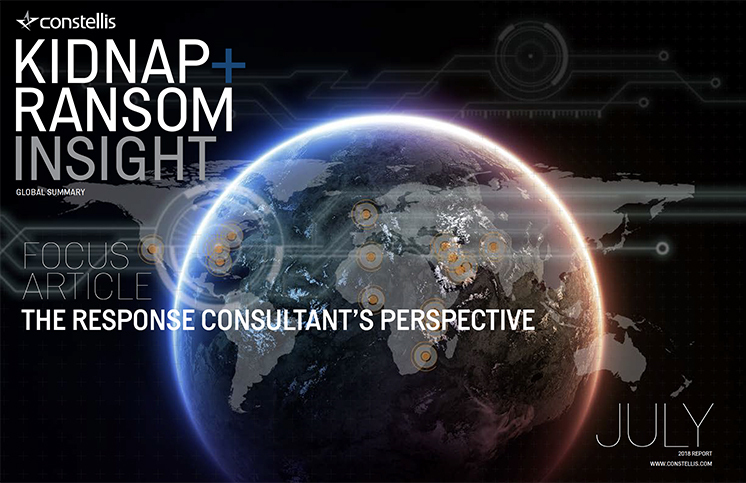 This issue of Constellis’ Kidnap for Ransom Insight Report covers global kidnapping incidents and trends over the months of May and June 2018, as well as the start of July. The information is derived from multi-source analysis of kidnap for ransom activity and where known, the outcome or resolution of the event. The report covers current kidnap for ransom hotspots at the regional, national and provincial level, with particular focus on areas where K&R activity is increasing. Statistical analysis of data for May and June 2018 is included on page 13, which graphically displays K&R trends by region, victims by nationality and employment sector, as well as identifying the Top 10 counties for kidnapping of foreign nationals over the reporting period. The Global Piracy Update provides an overview of the piracy threat by region, providing trend analysis for May and June 2018. It also offers sample cases occurring through those months, providing an illustration of the identified trends.